CULASI, ANTIQUE-- Malalison is one of the three island barangays of the town of Culasi and is about a 15- to 20-minute boat ride away from the city proper. It is known for its coral reef reserves and lagoons, making it a favored spot for underwater activities like scuba diving and snorkeling. Traveling to Malalison is a breeze during a bright, sunny day. But a sudden change in weather conditions can lengthen the supposed short ride to about an hour of braving huge waves. Setting aside the bumpy and unfavorable ride, though, is a view that will take not only your breath but also your seasickness away. Even the dark skies could not dampen the clear turquoise waters breaking onto a long stretch of white, powdery sand that paints the scenic, unspoiled beauty of Malalison Island. Its name is as majestic as the local legends to which the island was said to have originated. One version tells of how the islands of Culasi--Mararison, Batbatan and Maningning--were the three offspring of the beautiful Madja-as and the noble Kanlaon. They kept an eye of the three in the towering slopes of what is now referred to as Mount Madja-as, the highest peak in the Panay region. According to Provincial Tourism Officer John Sumanting, Malalison (or also Mararison) translates to the “disobedient” one in their native language; Batbatan thedisrespectful; and Maningning, the stunning lone sister. The siblings were said to have been punished for their misdeeds and were kept in a distance from their mother, thus forming the three islands of Culasi which is best seen in the summit of Mount Madja-as. Visitors are greeted by the locals with a ritual called Luy-a to bid them a good stay in the island and as protection from unpleasant spirits. One of the distinct features of Malalison is its crescent-shaped sandbar that is known to change its curve depending on how strong the waves can get. 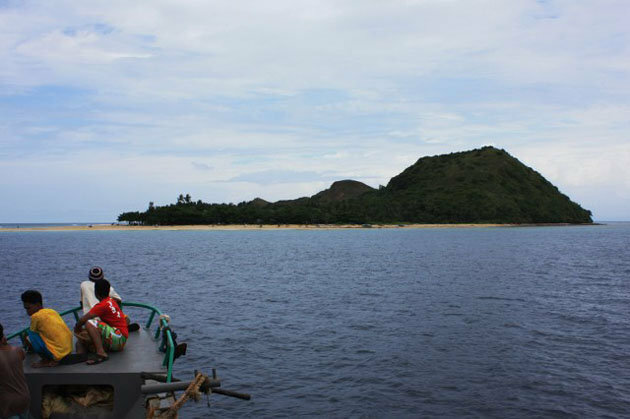 Situated on the other side of its mountains and accessible via a short trek is an islet called Nablag, where fish sanctuaries and coral reefs inhabit the waters nearby. With a promising take as an ecotourism site, local and foreign tourists are sure to find the diverse marine life reserve and lush landscapes of Malalison as another new, must-see attraction next to Boracay.